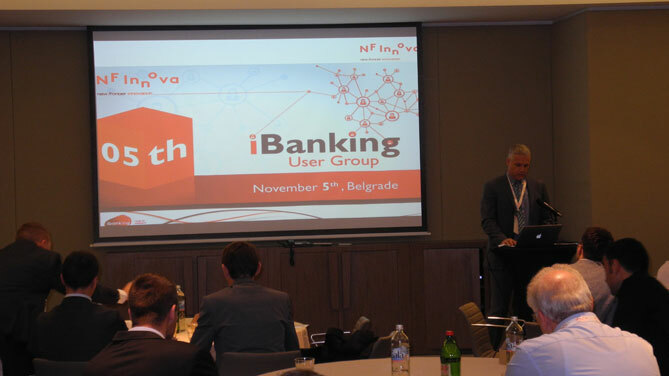 The fifth iBanking User Group, traditional gathering of the iBanking users, was held in the Crowne Plaza Hotel in Belgrade. 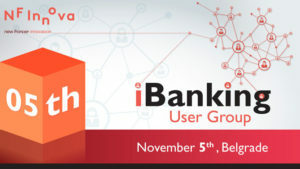 iBanking User Group is an event where users are able to became familiar with new modules and functionalities of the system, and also to directly shape its future development. Representatives of the banks that have implemented iBanking had the opportunity to hear presentations of prominent speakers from companies that foster an innovative approach to the banking, as well as the innovations planned for the new version of iBanking, created on the basis of their proposals and wishes from the previous conference. The conference was opened by Eldar Banjica, New Frontier Innova CEO, who presented iBanking and best practices arising from its usage. 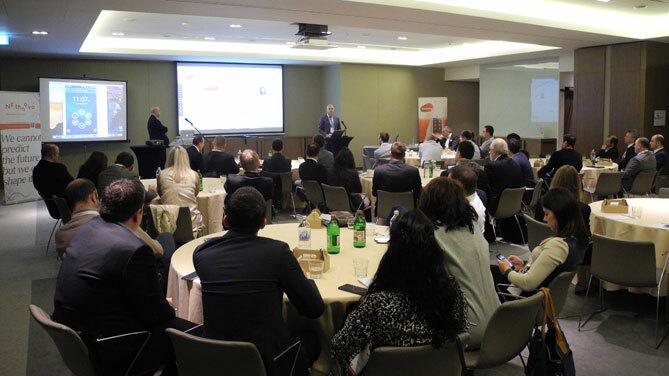 Presentation named “White-Label Banking” was held by Boris Vujcic, Managing Partner, Black Pine Consulting – EMEA. He underlined that digital transformation, which is the latest trend in banks requires a new level of innovation. White-Label Banking delivers digital strategy as a basic strategy in the bank. Aleksandar Blagojevic, Digital Branch Manager from the Societe Generale Bank in Serbia, presented the experiences and challenges that his bank met in creating a digital branch, which will soon become available to customers. Janos Veres from Hungarian ANY Company introduced to the event participants new method of payment using NFC system and presented a successful case study of the “T-City”. 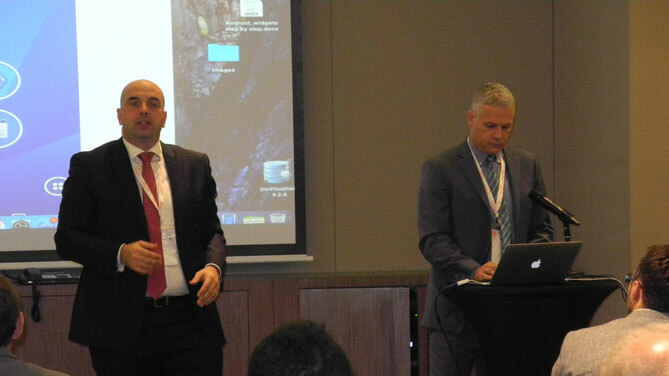 The final presentation, in which new functionalities of the iBanking system were presented, as well as plans for their further development, was held by Dejan Petkovic, Director – Products & Technology, NF Innova. After finishing the first part of the conference, a panel was held in which speakers answered questions from the bank representatives, as well as networking part where participants exchanged ideas on the further directions of iBanking improvements.